Research shows that when children learn how to rhyme, then they will be better readers. Also, some dyslexic children have difficulty with rhyming. Practicing rhymes and making them fun will encourage the brain to remember rhymes. Repetition is the key, so if a child cannot “find or notice” a rhyme right away, than the adult should try something new. Animations, just like t.v., computer interaction and movies, is one way to grab the brain’s attention. 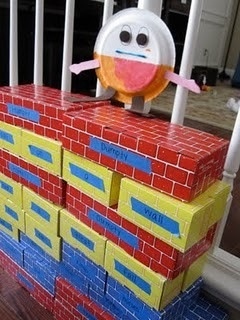 Here is a YouTube video of a cute little Humpty Dumpty. Enjoy!